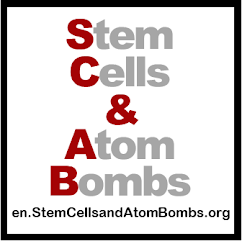 en.StemCellsandAtomBombs.org: Declaration of INterDEPENDENCE - Sign it! 1. 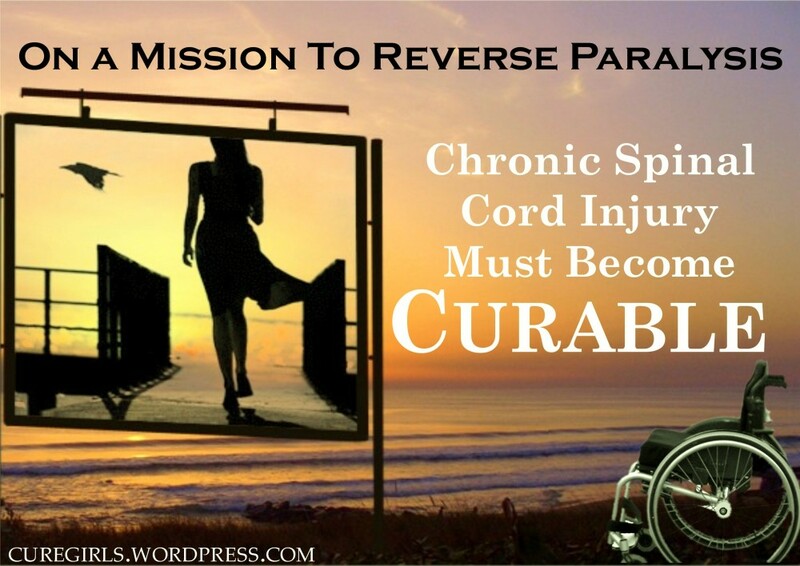 How much are you planning to spend in the next five years to find a cure for chronic spinal cord injury? 2. Which research projects (basic and clinical research) will be funded by Rick Hansen organizations to get people with chronic sci out of wheelchairs? 3. What is the Rick Hansen Foundation/Rick Hansen Institute's ability/willingness to fund promising science to cure chronic spinal cord injury both domestically and internationally? These are the questions. Now we want an answer. The Rick Hansen Foundation (one of the world's largest and most well financed spinal cord injury organizations) is hosting the Interdependence global conference on spinal research starting 15 May in Vancouver, Canada. This is a very good time for us to shout the cure message loud and clear so that it's not missed. 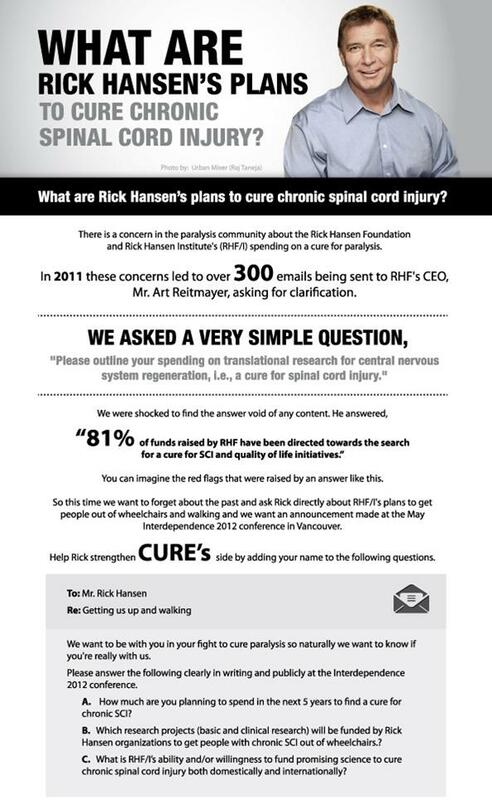 Many of you have already sent emails to the Rick Hansen Foundation demanding answers and your emails have already had a tremendous impact ( http://stemcellsandatombombs.blogspot.jp/2012/02/you-yours-and-rick-hansen.html ). Now it's time to ask for more. We have put together a very good set of questions that we need answered and we're going to let the world know that we WANT answered and that's about Rick Hansen's plan to cure chronic spinal cord injury. But more than this, we need you to get this in the hands of your friends, family, coworkers, and even enemies to get them to sign. You can download a PDF of our flyer and send it on to your supporters, or just send them the link, www.bit.ly/RickHansen. We've already done a lot with the Rick Hansen Foundation and now we need a little more push and success or failure lies in our hands. This is NOT a campaign AGAINST Rick Hansen. This is AN APPEAL TO Rick Hansen to strengthen cure's side. This is our long march from INTERdependence to INdependence. Today is when we declare to all the old paralysis orgs that they must march to the drum of cure regardless of how thankful we are for their past work. Today is when we stand up. This is not an appeal by the weak to the strong. This is not an appeal that we make with bowed heads in hope that someone will help us. This is an appeal made by those who are standing up and marching together towards cure. It's up to us, my friends. So let's do it. This campaign has now ended. Thank you for your support.